The US presidential election is the most expensive and longest-running election campaign in the world. The election will be held in three months, on Tuesday 8 November 2016, to choose the next president of the United States. It is watched closely — not just by American citizens, but by people all over the, world including Tibetans in diaspora — given the global implications it has. And the person elected is widely viewed as the most powerful person on earth. As Tibetans, we can’t help but wonder which of the two candidates — Hillary Clinton or Donald Trump — will be the best bet for our cause. Too bad, Senator Bernie Sanders is not a candidate; otherwise, it would be an easy choice — at least for me. Tibetan-Americans largely tend to vote for a candidate in context of the candidates’ view/policy and approach on the Tibet issue. Lately in chit chat with my Tibetan friends and family, many have shown interest and curiosity to understand two candidates better, and of course, their stand on Tibet. That kindled me to offer some critical analysis of the two US presidential candidates and their respective foreign policies in relation to China and Tibet. Neither of the candidates made clear their approach and positions on Tibet issues, such as their political stand on Tibet, human rights including language freedom, and cultural genocide in Tibet. Do they value the lives of Tibetans in Tibet? Or simply put, do they value our votes in the election? The Chinese government never made known its preference for a candidate. However, Chinese state media calls Trump “bullish” and “rude”, and Clinton “difficult” and “untrustworthy”. Although the Chinese government doesn’t know much about Trump (and Americans call him sexiest and racist with his polarizing comments), the Chinese government seems to prefer Trump over Clinton. They feel Trump could be less tough on China over human rights, and consider him as someone to strike deals with and do business with, being a business man all his life. In 1990, Trump made an absurd statement in an interview describing the “strength of Chinese government” in its bloody crackdown of the student-led protest in Tiananmen square. Having praised the Chinese leadership for the Tiananmen massacre, they must adore him. The Chinese government knows for a fact that Trump hates and bullies Muslims. They may see him as an ally in future with their so-called war on terror in western East Turkistan (Xinjiang), which is largely populated with Muslims fighting for their freedom and independence movement against People’s Republic of China (PRC). With deep distrust between US and China, it would be interesting to see what the future holds with Clinton as next president, if elected. In her first official trip as US Secretary of State to China and Asia in 2009, she drew lot of criticism for making an irresponsible statement calling other issues as priority, not human rights. She stated, “Human rights issue can’t interfere with the global economic crisis, the global climate change crisis, and the security crisis.” The remark was widely interpreted as turning a blind eye to human rights violation happening inside Tibet, China, and other parts of the “motherland”. Hillary Clinton’s record on human rights is sketchy and vague in the past. However, in the later part of her term as Secretary Clinton, she is more outspoken, and proved to be taking a firm stand on human rights issues. In 2012, as Secretary of State Clinton was deeply involved in her efforts to get blind Chinese dissident Guang Cheng out of China after he fled into the US embassy in Beijing. In 2010, then Secretary of State Clinton pushed the South China Sea issue as one of the top agendas in her attempt to rebalance Asia at the ASEAN Regional Forum in Hanoi. With an international court ruling against China’s baseless claims over the South China Sea in July this year, she would most likely push it even harder for free access in the vital waters to balance out China’s control over it and to protect US interests and regional security in Asia. In the same year, she accused the PRC of hacking the email accounts of human rights activist and dissidents. Having publically bashed China’s “deplorable” human rights record, Clinton could likely be a difficult leader to deal with for the Chinese government — unless she does a U-turn after getting elected as any politician does. The PRC announced the South China Sea as a “core interest” along with Tibet, Taiwan, and East Turkistan, and determined to fight any challenge from the United States and its allies. The past presidential candidates Obama and McCain met with His Holiness the Dalai Lama to discuss Tibet and condemn China’s human rights record in Tibet in 2008. Although then Secretary of State Clinton met with His Holiness at the State Department in early 2010, it remain to be seen whether candidates Clinton and Trump meet with His Holiness in the next three months in the lead-up to the election, and make official statements in support of the Tibetan cause. Whoever wins, Tibet needs the next US president to work with us closely, and to firmly deal with China on critical issues facing Tibet, its people and peaceful culture. The author is a graduate in biochemistry from San Francisco State University, and currently employed in a pharmaceutical company. 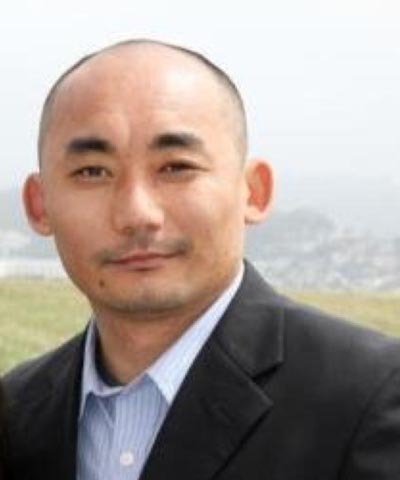 He is a former president of Tibetan Association of Northern California, and currently serves as board VP of the Tibet Oral History Project and on the advisory board of Bay Area Friends of Tibet. Trump is pretty good in blowing his trumpet but I wonder how much he knows about troubled Tibet. Not only Americans, many Mexican and Muslim communities around the world were upset by Trump’s comment. Since he is morally degenerate in my opinion, he would care less about anything other than his legacy. We have almost zero chance to champion our cause under his administration. Trump being President means downfall for all of us.